OK, teaching a preschool age child about GMOs, climate change, and food manufacturing in the U.S. is no easy feat. 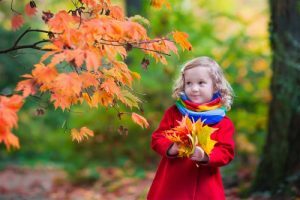 For younger children, a simple way to help them become appreciative of the natural world they live in, and begin to do their small part in protecting that world, is by introducing simple concepts and letting them learn easy ways to help your family do its part for the environment. Teaching these very basic lessons at a young age will pave the way for a more sophisticated understanding of the threats to the environment and how to help in the future. 1. Show your kids how much you enjoy nature. When walking out to the car, point out how the leaves on your favorite tree are turning, and how beautiful they look. Show them the bulbs you’re planting, and tell them about the tulips and daffodils that will come up in the spring. Plan a picnic lunch in the backyard or a nearby park, so that they can see you enjoying being outdoors. 2. Show that you care. If you model your own concern for the environment, your kids will catch on much more quickly. Show them how you separate everything that goes into the various recycling bins. 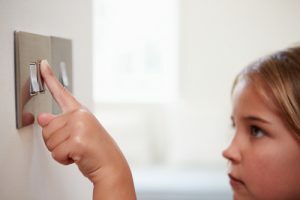 Explain to them that lights must be turned off when leaving a room to conserve energy, and make sure they see you flipping the light switch each time. Talk to them about the produce you’ve purchased from the farmer’s market, and how much energy was saved when buying local foods. 3. Get your kids participating. Does your family recycle? Talk to your kids about why cans go in one bin, plastics in another, and paper in another. If you compost, talk to them about all of the different items they can add to the bin or pile. Instead of flipping off the light when you leave the room with your child, ask him to flip it off, and encourage him to do so whenever he leaves a room. When you leave a room, ask them if they want to flip the light switch off themselves. Remind your kids that water from the faucet should be used thoughtfully, and not left on when not in use. 4. Let books and movies do some of the talking. It may be difficult to urge your kids to become more engaged with the environment and the protection that it needs from them. Books and movies can help to turn kids on to the ideas you’ve been promoting. The movie, The Lorax, will have your kids talking about how to protect the environment. There are a host of fantastic books that tell simple stories about protecting the natural world. Some of our favorites are Owl Moon by Jane Yolen, On Meadowview Street by Henry Cole, and The Wump World by Bill Peet. 5. First-hand experience is key. Give your child simple experiences that bring him closer to nature as a way of letting him form an attachment to the natural world. Make mudpiesin the backyard. Teach him to whistle using a blade of grass. Let your child feel the rough bark of a favorite tree, and maybe take a leaf home for tracing or pressing. 6. Repeat, repeat, repeat. Children become more engaged with concepts and objects when exposure is repeated. Is your child still staring at the tracing of a leaf from yesterday, and bringing it to you to show you? Take her out again to find a differently shaped leaf, so that she can practice tracing again. 7. Infuse nature into your child’s outdoor play space. Maybe you have a trampoline in the backyard, a swing-set, small jungle gym or even a hammock. Decorate your child’s outdoor playspace with elements that will allow it to blend in with the natural world. Place a windsock on one of the poles of the swing-set. Install a bird feeder near the hammock. Decorate the jungle gym with dandelion chains. These little touches will make your child feel closer to nature as she plays. Tell us what you’ve done at home to teach your children more about what they can do to help the environment. How do your children interact with the natural world? We love hearing from our families in the comments section!